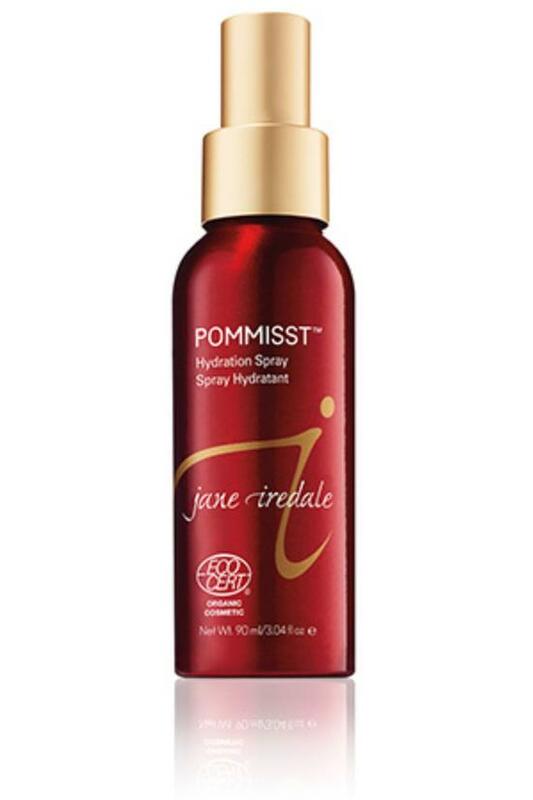 The reformulated Hydrating Pommist Hydration Spray conditions, protects and hydrates all skin types. Formulated with Pomegranate extract, White Tea leaf extract, and Rosemary leaf extract to set the mineral foundation as well as hydrate skin. Perfectly sized for on the go refreshing and setting minerals. Lightly spray face from about 12 inches away. Pat your face with your fingers to work moisture into the skin and to minimize fine lines and pores. Spritz your face when the skin feel dry or when exposed to drying atmosphere. Use to set minerals and help conceal pores and fine lines. Use spritz as a moisturizer for oily skin and to wet brushes and lines. You can even spray in your hair to control static!